I've been meaning to try Taylor Swifts first perfume ever since it came out but I had others I wanted to use up before buying anymore. 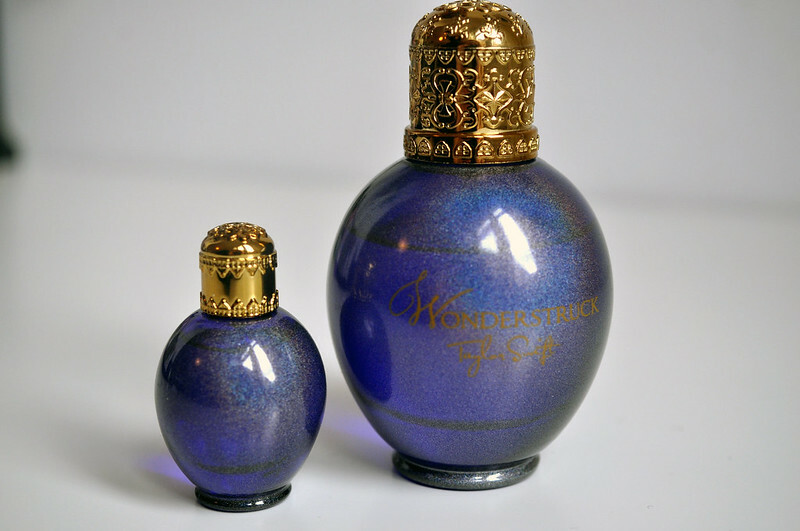 I've now managed to finish up several bottles so I treated myself to Wonderstruck and I've been wearing it everyday since. First off the bottle is amazing! 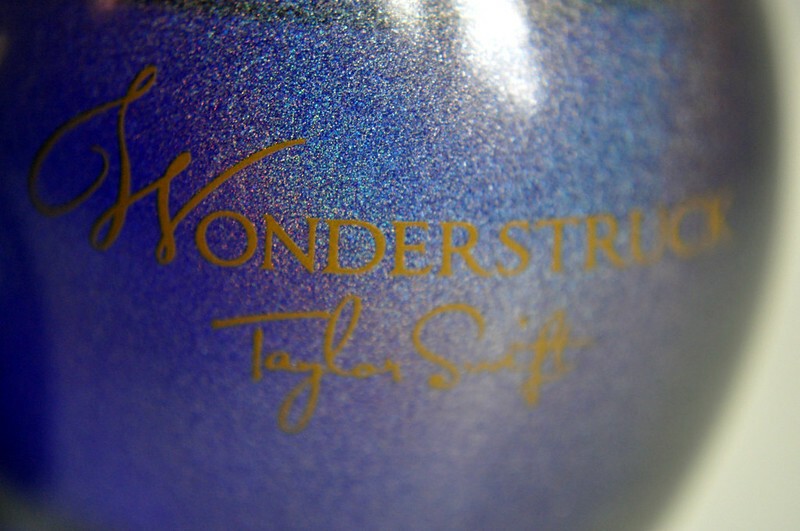 I love anything holographic and I really like the colour as well. I bought the gift set and smaller bottle so I didn't get the charm which is normally on the bottle. 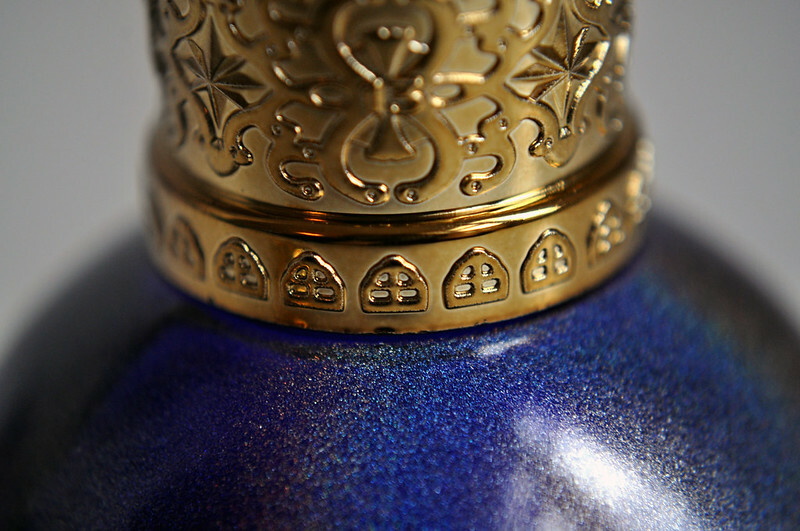 I'm going to eventually buy the 100ml so hopefully that'll have the charm on and make the bottle even better. The gift set includes a 30ml bottle, 5ml bottle and a body lotion with the same scent. I went with this one as it was the same price as the 30ml bottle on it's own and I can never say no to mini perfume bottles. Top notes: Freesia, Green Tea, Apple Blossom, Raspberry, Dewberry. Heart notes: Hawaiian White Hibiscus, Honeysuckle, Mimosa Flowers, Vanilla Whoopie Pie. Base notes: Amber, Sandalwood, Musk, Peach. As soon as I read the notes I knew I'd like it. 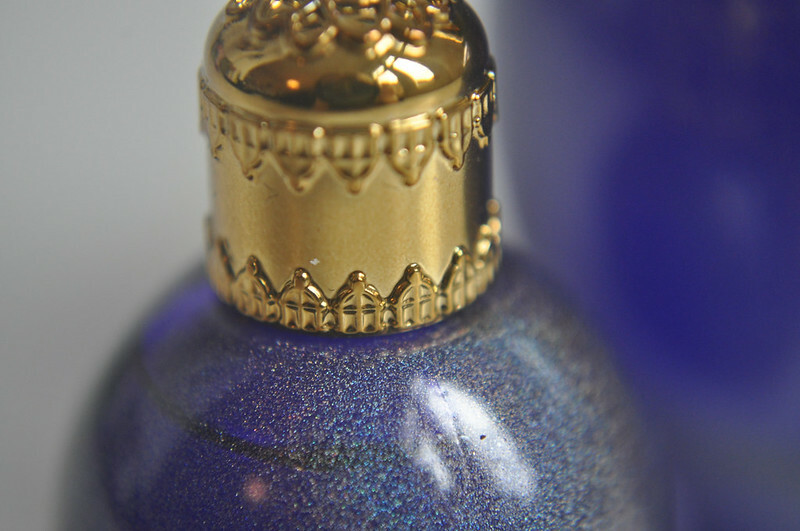 Sandalwood is one of my favourite scents and almost every perfume I have has it in. It's a very sweet fruity/floral scent but one that I really like. It doesn't last a very long time, only a couple of hours, but I always carry the mini in my bag for a top up at work. 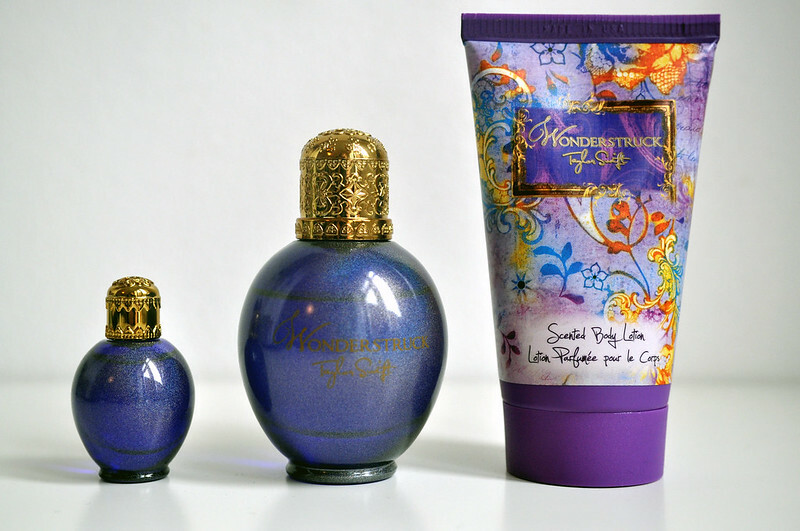 I'm excited to see how Wonderstruck Enchanted smells and differs from this one!